Last week I was on the Diezijn Leuk handmade market in Groningen. This was the 8th time I was on the market, and the 10th time the market had been held. So it was a special one. As usual we were very lucky with the weather, a mild day, with no rain and a bit of sunshine towards the end, everything you hope for with an outdoors market in April. This year the market was on a Monday because of Easter, but it meant there were lots of visitors, including many from Germany, so I was thankful that my husband speaks some German (at least enough to say prices etc). On one side of the stand I had all my handmade products, and the other all my craft supplies. And it was nice to be visited by some people who had been to my stand at past markets and shared stories and pictures of some of the things they had made with the craft supplies I sell. This entry was posted in Craft Fair, Events on April 14, 2015 by Handmade Cuddles. This year (like for the past few years) I had a stand at the Diezijn Leuk market in Groningen. 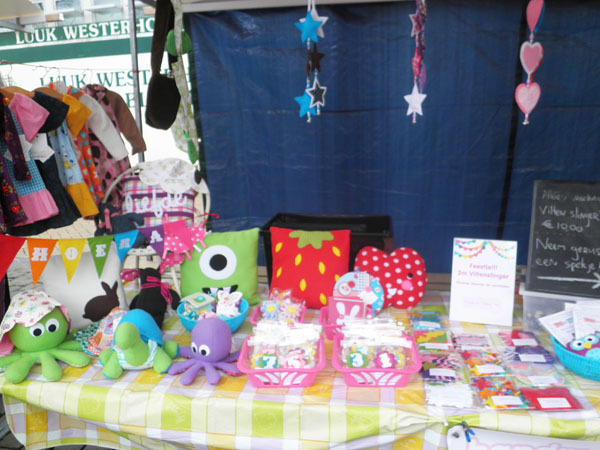 The market is always great fun, you get to meet other creative people, and also interact with your customers. We were super lucky this year in that the weather was great! It was cool, but not cold and only a little windy now and then. It made all the difference to the day, and you could see that in how many people that came, it was busy all day through and come 5pm (time to pack up) I was exhausted. So thank you to everyone who came by to visit me on the day. Now it is over I can focus on Christmas orders again! 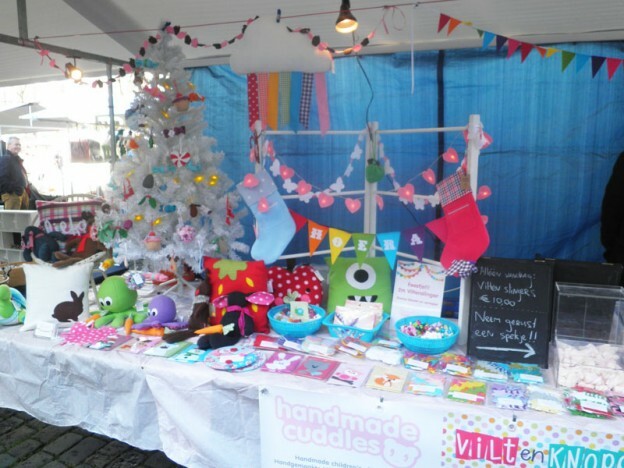 This entry was posted in Craft Fair, Netherlands on November 5, 2014 by Handmade Cuddles. 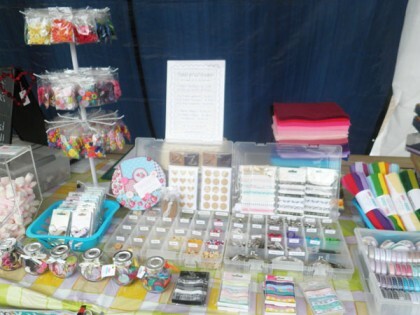 So I sewed like crazy all week, made some lovely new items and got there Saturday to have the market. The day was great, the place is amazing! I haven’t seen anything like it before, there were chickens and rabbits, and an amazing outside playing area, very natural They had plays on, and a “Expedition Robinson” area where the kids were learning to make bows and start fires. So overal a great day, thank you Villa Petit Paradis Kinderopvang for letting me come!! 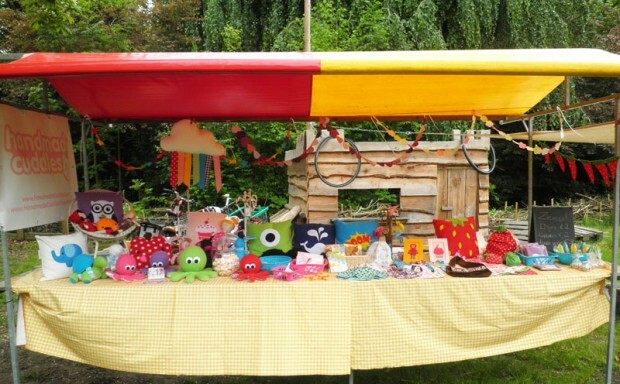 This entry was posted in Craft Fair, Netherlands on June 1, 2013 by Handmade Cuddles. 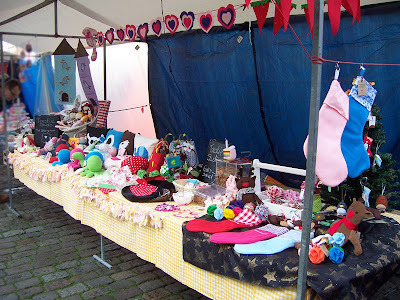 So Sunday was the Diezijn Leuk craft fair in Groningen. It was an awesome day, quite cold but no rain till the very last 30 minutes so I can not complain. I also want to say thank you to friends who stopped by to say hi, really helped keep the day going. Oh and of course thank you to everyone who bought something!!! I also have a few new items that I will be listing in my etsy shop this week, and working on getting the bigger items listed too and sorting out their postage rates. 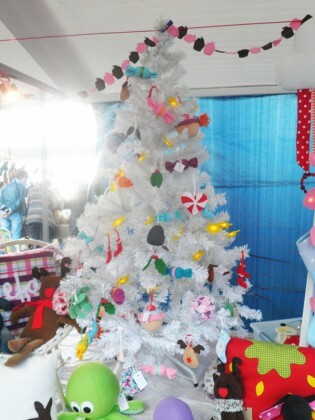 This entry was posted in Craft Fair on November 7, 2012 by Handmade Cuddles. Gosh, nearly the end of September already?!?! 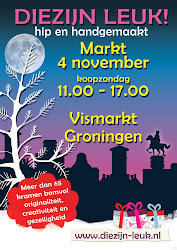 I have to get my sewing fingers into action because in just over a month I will be at the Diezijn Leuk craft fair in Groningen (the Netherlands). I love attending this market, it may be cold, and I may struggle with my Dutch, but getting to speak to people about what I make, and selling stuff face to face is just amazing!! I will also have to plan how to get everything there again, last few times I managed with my bicycle loaded up to the heavans, hopefully I can pull it of again this year! This entry was posted in Craft Fair on September 22, 2012 by Handmade Cuddles.